(StatePoint) Wedding bells are ringing and “I Dos” are in the air. Newlyweds are taking their first steps toward happily ever after, including combining their finances. But doing so is not without potential pitfalls. Undeniably, money can be a huge stressor on a relationship, especially on a brand-new marriage; and most couples have an unrealistic view of how they will handle their finances, according to a new survey from credit bureau TransUnion, tracking the attitudes of engaged couples and newlyweds. More than half of engaged couples said they intend to divide financial decision-making equally, but only 37 percent of married respondents said they actually share the responsibility equally — more than 36 percent of respondents said they make budgeting decisions by themselves. Still, only a quarter of engaged couples said they would inquire about their fiancée’s credit score before marriage. And while 85 percent of all respondents said they know where to look up this information, more than a quarter of married respondents and nearly a third of engaged respondents said they don’t monitor their scores. • Productively discuss finances: Most couples say they are very comfortable discussing money. However, if you aren’t prepared with accurate financial knowledge, the conversation may not be effective. As part of this conversation, check your credit scores. You can get them through TransUnion’s credit monitoring tool. Together, share your financial priorities for the future. • Disclose debt: Many couples don’t consider how marriage and debt impact one another. Before forming the union, disclose any debt that you have. Half of survey respondents cite car payments as a source of debt, with student loans cited as the second most common source of debt for engaged and married respondents. Open and honest discussion early on will help you avoid future problems. • Make a financial plan: Newly married couples have big plans ahead of them: children, new homes, cars, travel dreams and more. The majority of engaged couples consider themselves to be savers and put saving money at the top of their financial agenda, according to the survey. However, make sure you are building a complete savings plan and ensure that your financial goals are aligned. • Get information: Remember to always check your credit score, and consider consulting a financial planner for advice. 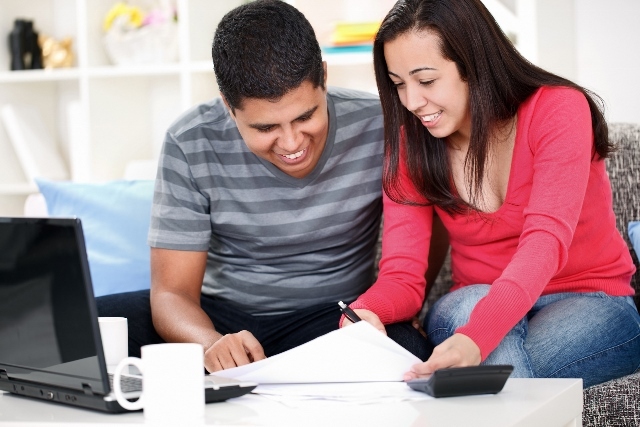 For credit monitoring tools, a helpful infographic and other tips for healthy marital finances, visit www.TransUnion.com. Marriage and financial planning are a perfect pair. Have the difficult conversations before walking down the aisle, to help pave the way for financial and marital happiness down the road.